When Geams and Laura Bass decided to purchase a mountain home in Murphy, North Carolina, a house listed by The Poltrock Team caught their eye. Naturally, the agency quickly responded to the couple’s inquiry, and realtor Wayne Cofer began assisting his new clients right away. After learning about Geams’ and Laura’s home search parameters, Wayne arranged for them to see several listings that afternoon. The following day was chock-full of property showings, each accompanied by complete listing details. Geams and Laura appreciated Wayne’s extensive market knowledge, and they were also pleased that he selected properties within their price range. Finally, Geams and Laura found their ideal mountain home, and Wayne quickly submitted an offer to the property’s listing agent. They immediately responded with an answer, and Wayne soon had a contract ready for review. As the real estate transaction progressed, Wayne kept Geams and Laura in the loop, advising them of relevant details and keeping their best interests at the forefront of all negotiations. Overall, these home buyers had a very positive real estate experience; and they felt that Wayne and the staff treated them with honesty and friendliness throughout the process. Geams and Laura would rate the group a “10” for their customer service, and would definitely work with them in the future. “We found out about The Poltrock Team because their office listed a home in which we had an interest. These professionals returned our call when another realtor would not, so we decided to work with the group. We partnered with Wayne Cofer to purchase a home. From our first meeting with Wayne, he put us at ease and made us feel like he had plenty of time for us. Wayne arranged to take us to look at homes that very afternoon, and we saw several listings. The next day, he had a lot more showings lined up, and we spent the entire day viewing properties listed for sale! For each property, Wayne provided a printout with a picture and all the listing details. This was very helpful when we reviewed each property’s pros and cons later. Finally, we decided to make an offer on our dream home. Wayne moved quickly, writing up the offer and submitting it to the other agent. We got an answer right away, and Wayne had a contract ready very soon thereafter. Throughout the transaction, Wayne kept in contact with us, and he acted on our behalf and in our best interests at all times. Wayne is a great guy, and it was a very positive experience! When David Bellino & Arleen Elliott began searching for a home in Murphy, NC, they wanted to work with an agent who would really listen to their concerns and put their interests first. They also looked for a skilled negotiator, as home buying transactions can often encounter a few bumps on the road to a successful outcome. As luck would have it, a realtor’s referral led David and Arleen to The Poltrock Team’s Donna Srabian. After learning about Donna’s extensive market knowledge and record of buyer success, the pair decided to work with the team. Throughout the couple’s real estate transaction, The Poltrock Team’s knowledge and experience shone through. David and Arleen were very pleased with the team’s strong leadership, and would definitely work with them again. These satisfied home buyers also sang Donna Srabian’s praises, and they look forward to partnering with her during a future transaction. “We were ready to buy our mountain dream home. I learned about The Poltrock Team through a referral from another agent. After speaking with Donna Srabian, I decided to work with the group. I wanted an agent who would listen to my interests and concerns. More than that, I wanted someone who would negotiate for me throughout the buying and selling process. After meeting Donna Srabian, I found that and more. Her contacts, knowledge about homes’ market value, and experience enabled her to navigate through some unanticipated rough spots in the purchase. When home buyer Laura Gaines began browsing homes for sale in Murphy, North Carolina, she noticed a listing presented by The Poltrock Team. She immediately called the contact number, and spoke with highly successful realtor Donna Srabian. Donna’s strong market knowledge and proven experience, coupled with her quick responsiveness to her clients, convinced Laura to work with the group. Throughout Laura’s real estate purchase, Donna provided excellent client service, always responding to her client’s questions and concerns. The Poltrock Team’s top notch support staff provided essential help with closing transaction details. Overall, Laura had a very good experience with The Poltrock Team. She would happily award this real estate broker “10” for their service and attention to detail, and she looks forward to working with them in the future. Best of all, Laura is absolutely delighted with her new house. “I learned about The Poltrock Team because they listed the house I wanted. When I contacted an agent for more details, Donna was very responsive and knowledgeable, and that convinced me to work with them to purchase a home in Murphy, NC. Overall, I had a very good real estate buying experience with The Poltrock Team. Donna was extremely helpful, and she always got back with me within a short time. In addition, the team’s expert staff provided me with valuable assistance with closing details. I would rate the team a “10” for their services, and I would definitely work with them again. When Brian and Marjorie Kearney began searching for Murphy, North Carolina mountain homes, they wanted to work with a realty agent with a proven record of buying and selling success. The couple was impressed by The Poltrock Team’s strong brand presence, and decided to work with the group to purchase a property. Brian and Marjorie partnered with highly experienced realtor Wayne Cofer, who proved very knowledgeable about the Murphy, NC real estate landscape and homes for sale. Wayne also shared valuable details about places and events of interest. He happily answered the couple’s questions, and they never felt rushed or pressured to make a home buying decision. Wayne remained focused on helping his clients find the mountain home they wanted, and they were thrilled when their search led them to the perfect property. During the Kearney’s real estate transaction, The Poltrock Team’s expert staff consistently answered the home buyers’ questions and provided outstanding communication with the buyers and seller. Overall, Brian and Marjorie had a positive real estate experience. They would rate the team a “10” for their superb client service, and would gladly work with this group of high achievers again. After settling into their Murphy, North Carolina mountain home, Brian and Marjorie spoke with several neighbors who also shared their positive real estate experiences with Re/MAX and with Wayne Cofer. Upon listening to these accounts, Brian and Marjorie knew they had chosen the right real estate partners. These satisfied clients hope to spend many happy years enjoying their beautiful home. “We first learned about The Poltrock Team through the Internet, and we decided to work with them because of their strong brand name. We partnered with Wayne Cofer, who was exceptionally knowledgeable about the Murphy, North Carolina real estate market and available homes. He explained a lot about the area, and told us where to find and do different things that may interest us. Wayne was in no hurry, and he didn’t pressure us to make a decision. His focus was always on what we wanted. In fact, Wayne went “above and beyond,” as he was glad to answer our questions at any time of the day. Throughout our home purchase transaction, team members were most helpful in answering our questions and providing good follow-up. We were especially pleased with the group’s consistent communication during the process. 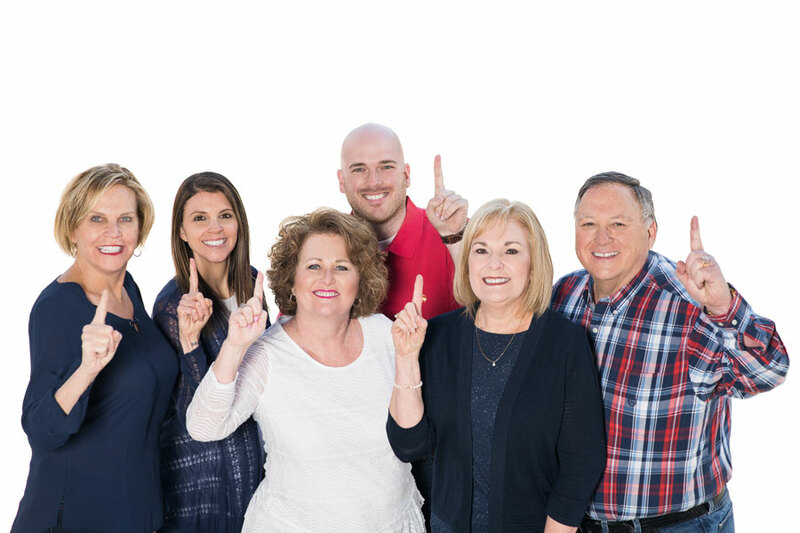 Overall, we had a great real estate buyer experience, and we would give The Poltrock Team a “10” for their excellent service. We would absolutely work with them in the future. After we purchased our home, we met several neighbors who had also had positive real estate experiences with Re/MAX and with Wayne Cofer. These conversations confirmed our beliefs, and solidified our commitment to The Poltrock Team. When Jaqueline Epner decided to sell her Murphy, NC home, she wanted to work with an exceptional realtor. Jacqueline asked several friends for a referral, and (naturally) The Poltrock Team kept popping up in the conversations. After getting acquainted with the team members, and thoroughly enjoying their friendly, upbeat manner, she knew she wanted the high-achieving agents to help her accomplish her new goal. While Jacqueline’s mountain home was on the market, The Poltrock Team made the showing process as smooth as possible. They gave this out of state seller plenty of lead time, enabling her to present her home in superb condition. Each agent even took Jacqueline’s dogs into consideration when making showing appointments. As a result of the agency’s aggressive selling program, the team was able to find a buyer for Jacqueline’s property. Throughout the real estate transaction, The Poltrock Team was very attentive to Jacqueline’s concerns, and provided the stellar services that have become the group’s hallmark. She truly felt that the team “had her back,” and they wanted her to enjoy the best result. After the closing process came to a smooth conclusion, Jacqueline took time to reflect on the successful outcome. She enthusiastically gave The Poltrock Team a “10” for their super service, and she would be pleased to work with them to buy or sell additional properties. “I found out about The Poltrock Team through my conversations with friends. I liked all of you and your bubbly personalities, and that convinced me to work with a team agent to sell my Murphy, NC cabin. When Rose Tuthill and John Foster decided to build a Murphy, NC mountain cabin with great views, they began searching for a top-notch area realtor to help them. They learned about The Poltrock Team through an Internet search, and quickly called the agency’s contact number. They immediately connected with Wayne Cofer, who got the ball rolling right away. Throughout Rose’s and John’s real estate transaction, they appreciated Wayne Cofer’s willingness to “go the extra mile” to keep the process moving and resolve challenges that emerged. In fact, when Wayne heard that the couple’s new North Carolina mountain cabin had lost power, and the electric company estimated that it would take three weeks to fix the problem, Wayne jumped in and got the company to visit the couple’s place the very next day. Looking back, Rose Tuthill and John Foster most appreciated Wayne Cofer’s positive attitude and sincerity throughout the process. Rose and John also felt that The Poltrock Team’s staff was very helpful and polite; and team members went “above the call of duty” to provide excellent client service. The couple would give the team a “10” for their efforts (really a “20”), and would absolutely work with this powerhouse group again. “We found out about The Poltrock Team via the Internet, and called the contact number for more information. We immediately connected with Wayne Cofer, who found us the best property with amazing views of the mountains. Wayne skillfully guided us through the real estate transaction. Besides being pleasant and sincere, Wayne provided us with terrific client service. When our power went out, the electric company told us to expect a three-week resolution time frame. When Wayne found out, he got the electric company out to our property the next day! When John and Kimberly Lynn began looking for their ideal Murphy, NC mountain home, they viewed a variety of Internet sale listings over a period of time. During the Lynn’s online search, they came upon a property listed by The Poltrock Team. They contacted agent (and Murphy, NC native) Kaitlynn Pope for more details and expert help. Naturally, Kaitlynn was chock-full of good information (and local knowledge). After she found a great property for John and Kimberly, The Poltrock Team’s expert staff stepped in, providing several mortgage and home inspection recommendations. Now that the Lynn’s have concluded their real estate transaction, they’re very pleased that the process resulted in a favorable outcome. From start to finish, the couple would give The Poltrock Team a “10” for their excellent client services. They’re also grateful to Kaitlynn Pope, who provided John and Kimberly with a stress-free home buying experience. John and Kimberly would be delighted to work with this top-notch group in 2019 or beyond. “Like many buyers, we found out about The Poltrock Team through the Internet. After viewing their property listing, we chose to work with them to buy a Murphy, NC mountain cabin. We worked with Kaitlynn Pope, and she made our home buying experience stress free. Because Kaitlynn is a Murphy, NC native, she had lots of new information to share with us. After Kaitlynn found our ideal property, The Poltrock Team’s staff was most helpful in providing us with financing and home inspection process recommendations. When David and Chris Miller made the decision to sell their Murphy, NC mountain cabin, they called upon The Poltrock Team to accomplish their goal. Back in 2016, David had spoken with John Poltrock about the value of the couple’s home. David was so impressed with John’s honesty and experience that he decided to contact this top-achieving agent to list the property in 2019. As a market-savvy seller with 43 property transactions under his belt, and having worked with many a real estate broker, David Miller commended John Poltrock’s willingness to really listen to his client’s needs. David also noted that John provided access to valuable analytical data and information, along with pictures and referrals to reputable service professionals in the Murphy, North Carolina area. Finally, David very much appreciated John’s responsiveness throughout the process. Even when the sale transaction was complete, John followed up to ensure that the home’s thermostat was set for upcoming cold weather, as the new owners hadn’t yet arrived at their just-purchased mountain home. Looking back, David Miller can identify only 6 (out of 43) agents who have proven themselves to be consummate real estate professionals. He has now added John Poltrock to that exclusive list. David gladly gives The Poltrock Team a “10” for the excellent services he received, and he will absolutely work with this top-notch group the next time. “We learned about The Poltrock Team through viewing their local advertising. I decided to work with the team because you were very honest the first time I called you three years ago about the value of my Murphy, NC property. So, I called you when I was ready to sell this time. During our real estate experience, The Poltrock Team was most helpful in providing excellent analysis and suggested choices during the process. I expect a lot from my real estate agent. I have bought and sold about 43 properties during my lifetime (so far). I use agents like Poltrock that listen, really listen to what I need, and have a policy of providing analytical data and information. These agents are extremely responsive, and they go the extra mile to please their clients. These professionals follow up on everything to make the experience as easy and accurate as possible. The pictures you send during the process are extremely helpful, especially since I travel a lot and live 12 hours away from this property. I also use agents, like yourself, who are knowledgeable of reputable service folks in the area that we can call when something needs to be repaired or replaced. Even when the transaction was completed, you followed up to make sure the home temperature was properly set for the cold weather, as the new owners were still out of state. It’s the little things that always help keep the process moving. Thank you. I have worked with six agents who fit my definition of a great real estate agent in my lifetime. I stay in touch with all of them – and now there are seven. I have fired many more than that in my search for great folk such as yourself. Great Job. When Mark Ingersoll began hunting for a mountain home with the best long distance views, he focused on property options for sale in Murphy, NC. When he decided to search online listings on Zillow, he came across The Poltrock Team. Like other customers, Mark asked top realtor Wayne Cofer to help him accomplish his home buying goal. After Wayne helped Mark to find the best mountain cabin, this highly regarded realtor guided Mark through a very smooth real estate transaction. In fact, Mark can’t say enough about Wayne’s excellent customer care, phone communication, and professionalism. This happy home buyer gave The Poltrock Team a “10” for their outstanding service, and he would gladly work with them the next time. “I learned about The Poltrock Team during a search on Zillow.com, and I asked them to help me buy a home in Murphy, North Carolina. Overall, I had a very smooth real estate experience with The Poltrock Team. Wayne was excellent. He was most helpful in providing me with outstanding phone and email communication – something that’s very important for all customers.